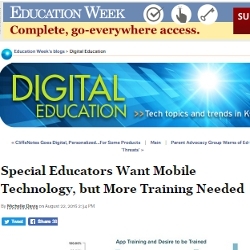 Rationale and results of the report “Use and perceptions of mobile applications and technologies by those interested in Special Education” by Richard E. Ferdig, Kristine E. Pytash, Karl W. Kosko, Enrico Gandolfi, Rachel Mathews and other Kent State faculty members were covered in an extended news story by Education Week. The piece presents the main findings of the survey (n: 683 participants) informing the white paper and depicts consequent implications and insights. Moreover, a relevant attention is given to the special apps catalog SpedApps and the related two programs developed (Number Line Touch: Multiplication and iPD). Along with these outcomes, the research was directed within the Kent State project called SpedApps, partially funded through a corporate contribution from AT&T. 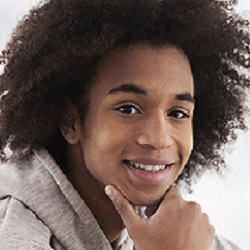 Education Week is one of the leading news-portals about education and learning worldwide. The math app Number Line Touch: Multiplication is available on iTunes (iPad) for free. Created by a multidisciplinary team of Kent State University developers, educators and researchers, this puzzle-game aims to improve multiplication and division skills in 2-5th grade students in both school and domestic environments. Number Line Touch: Multiplication is the first app developed within the Kent State project called SpedApps, partially funded through a corporate contribution from AT&T. Published by the International Literacy Association, this post highlights findings from a recent study examining teaching and learning with mobile applications. The investigation found that student engagement was highest when the instruction allowed students to engage with apps supporting content creation. 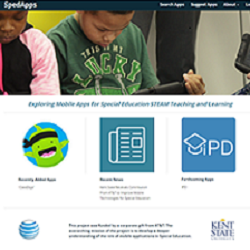 Also featured in the post is SpedApps, a website designed by Kent State faculty with information about over 400 apps for teaching and learning. Published by the International Literacy Association, this post features instructional approaches for educators teaching writing using technology and digital media. Based on research conducted at RCET, this post provides insights into how digital tools and apps can help teachers consider new approaches for teaching writing. 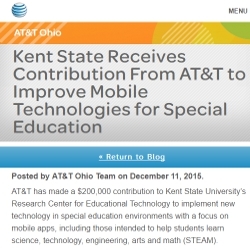 Kent State University’s Research Center for Educational Technology (RCET) has received a $200,000 corporate contribution from AT&T to further enhance our understanding of the relationship between mobile technologies and special education. 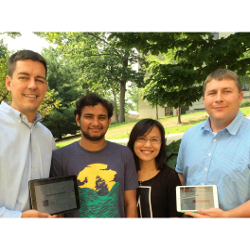 The team, led by Dr. Richard E. Ferdig and comprised of KSU experts in special education, educational technology, computer science and teacher education, will study and build apps for home, school, and therapeutic contexts.